This timely and practical resource contains hundreds of completed examples. Alerts and cautions highlight areas of the law and specific transactions that require special handling. 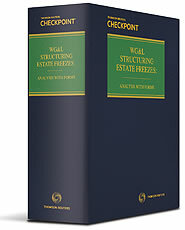 More than a dozen forms facilitate estate freezing and wealth transmission techniques are included.